HONOLULU -- President Obama has signed an executive order imposing new sanctions on North Korea following last month's cyber-attack on Sony Pictures Entertainment. Officials say this is the first instance the US government has imposed sanctions in response to a direct cyber-attack on a U.S. company. In issuing the order, Obama accuses North Korea of "destructive, coercive cyber-related actions during November and December," calling them a "continuing threat to the national security, foreign policy and economy of the United States." Some cyber security experts have questioned whether North Korea was responsible for the Sony hack, but an administration official said the U.S. remains "very confident in the attribution." Before leaving for his Hawaii vacation, the president had said he would respond to the attack "proportionally" in a time and manner of his choosing. Today's action is "the first aspect of our response," White House spokesman Josh Earnest said in a statement. 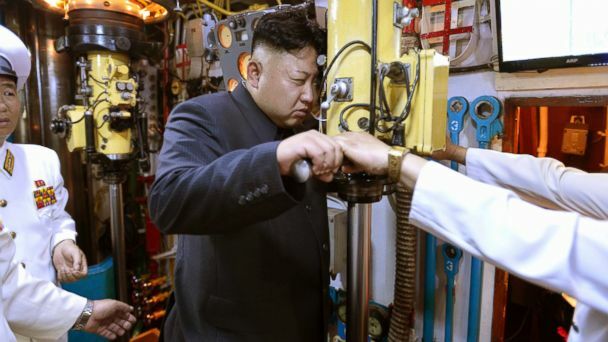 Officials would not say whether that statement should be read as a denial that the U.S. was involved in the outages of North Korea's internet during the past week. "Not going to comment on what may or may not be happening," said one administration official. "You should see this for what it is - the first step in our proportional response." The order authorizes the Treasury Department to shutdown access to the U.S. financial system, prohibiting transactions and freezing assets, for specific officials and entities of the DPRK and anyone who supports them. The Obama administration has identified more than a dozen targets of the sanctions - three North Korean agencies and 10 individuals - including the country's primary intelligence agency that the administration believes runs their "major cyber operations." Notably, several of the individuals are identified as working in Russia, China, Syria and Namibia, making them potentially difficult to hit. "The order is not targeted at the people of North Korea, but rather is aimed at the Government of North Korea and its activities that threaten the United States and others," Obama wrote in a letter to House Speaker John Boehner and Senate Majority Leader Mitch McConnell notifying them of the action. The new U.S. sanctions are not the first imposed against North Korea. President Obama has previously authorized three rounds of restrictions on the DRPK and its nationals - in 2008, 2010 and 2011 -- mostly related to noncompliance with UN resolutions related to the country's nuclear activities.